NUMBER & LETTER STENCILS Made of heavy duty stencil board Reusable/flexible Water-resistant Includes numbers 0-9 Includes letters A-Z Includes the following symbols: Period, dash, comma, cents & dollar Includes one extra A, E, O, R & S ST6 6 IN. NUMBER/LETTER STENCILS SIZE:6"
NUMBER & LETTER STENCILS Made of heavy duty stencil board Reusable/flexible Water-resistant Includes numbers 0-9 Includes letters A-Z Includes the following symbols: Period, dash, comma, cents & dollar Includes one extra A, E, O, R & S ST4 4 IN. NUMBER/LETTER STENCILS SIZE:4"
NUMBER & LETTER STENCILS Made of heavy duty stencil board Reusable/flexible Water-resistant Includes numbers 0-9 Includes letters A-Z Includes the following symbols: Period, dash, comma, cents & dollar Includes one extra A, E, O, R & S ST1 1 IN. NUMBER/LETTER STENCILS SIZE:1"
NUMBER & LETTER STENCILS Made of heavy duty stencil board Reusable/flexible Water-resistant Includes numbers 0-9 Includes letters A-Z Includes the following symbols: Period, dash, comma, cents & dollar Includes one extra A, E, O, R & S ST2 2 IN. NUMBER/LETTER STENCILS SIZE:2"
NUMBER & LETTER STENCILS Made of heavy duty stencil board Reusable/flexible Water-resistant Includes numbers 0-9 Includes letters A-Z Includes the following symbols: Period, dash, comma, cents & dollar Includes one extra A, E, O, R & S ST3 3 IN. NUMBER/LETTER STENCILS SIZE:3"
STANDARD STEEL LETTER STAMP SET Standard-high quality stamps for - general purpose uses For hand-held, hammer-struck applications Crowned striking surface ensures full force - to the center of the stamp Textured shank provides firm easy grip Packed in durable plastic storage container 27 pieces A to Z plus & (ampersand) 20200 27PC STEEL LETTER STAMPS SIZE:1/8"
NUMBER & LETTER STENCILS Made of heavy duty stencil board Reusable/flexible Water-resistant Includes numbers 0-9 Includes letters A-Z Includes the following symbols: Period, dash, comma, cents & dollar Includes one extra A, E, O, R & S ST5 5 IN. NUMBER/LETTER STENCILS SIZE:5"
Silhouette Mint Custom Stamp Maker is the most innovative and powerful custom stamping system on earth. The machine's special thermal printing ability lets you create 3D reliefs of custom designs on Mint stamp sheets. Simply apply Mint inks to your stamp and you are ready to roll. 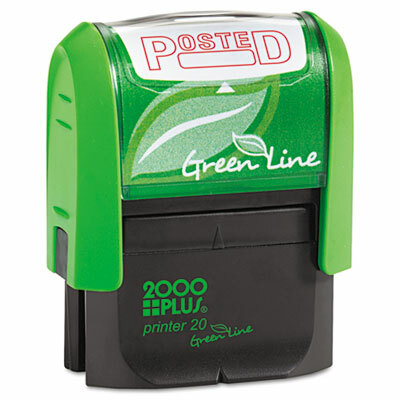 Stamp up to 50 times before reapplying your Mint ink. Design it Mint it ink it stamp it. The Mint system is driven by powerful custom software Mint Studio (included with purchase). Mint allows you to create the perfect stamp by: Turning designs from Silhouette Design Store into stamps Turning text into a stamp using any font from your computer Creating your own design from within Mint Studio Importing any image into Mint Studio to create your stamp Turning a photo into an amazingly detailed stamp Combining any or all of these options to create whatever you can imagine. Contains: Silhouette Mint Custom Stamp Maker 15 mm x 60 mm stamp kit 30 mm x 30 mm stamp kit 4 ink bottles in black red blue and yellow 50 exclusive This item cannot be shipped to APO/FPO addresses. Please accept our apologies. Stamp documents and more with bold confidence thanks to this handy Felt Stamp Pad. Classic felt delivers dark, clear impressions for all your business- or hobby-related stamping needs. Each pad can be re-inked to extend its life through thousands more high-quality stamping experiences. Your documents, craft projects and more come alive with rich, intense, certified ink for quality that gives life to your stamp impressions. 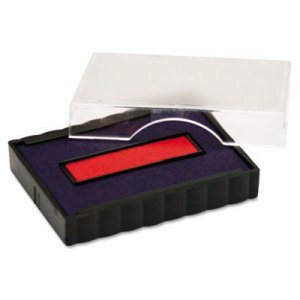 Stamp Pads Type: Inked Felt; Ink Pad Type: Conventional Pad; Ink Color(s): Black; Pad Size (Width): 4 1/4". Stamp documents and more with bold confidence thanks to this handy Stamp Pad Inker. Specially designed dab-on applicator prevents leaks and drying out so you'll always have ink at the ready. Meters ink onto pad thoroughly, keeping hands and surfaces clean. Quick-drying, non-toxic ink comes in a two-ounce bottle. 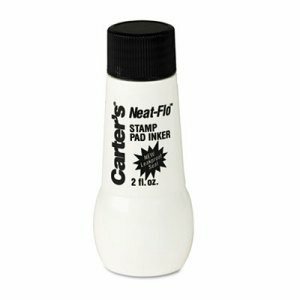 For use with Carter's� reinkable stamp pads only. Your documents, craft projects and more come alive with rich, intense, certified ink for quality that gives life to your stamp impressions. 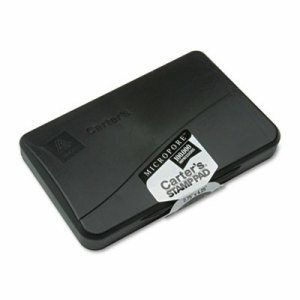 Stamp Pads Type: Inker; Ink Pad Type: Refill Ink; Refill(s) For: Carter's� Reinkable Stamp Pads; Ink Color(s): Black. This is one pad that really knows how to make an impression. The soft foam of this versatile and economical Stamp Pad delivers a rich, certified ink transfer to the surfaces of your stamp for bright, vibrant stamp impressions. Your stamps will enjoy many impressions before the stamp pad requires re-inking with Carter's stamp pad inkers, making it an ideal resource for sign creation, crafting, decorating and a host of other activities. Bring your projects to life with bold color. With this stamp pad, you're bound to impress. 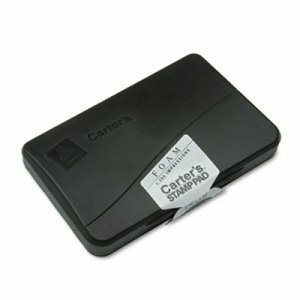 Stamp Pads Type: Inked Foam; Ink Pad Type: Conventional Pad; Ink Color(s): Black; Pad Size (Width): 4 1/4". 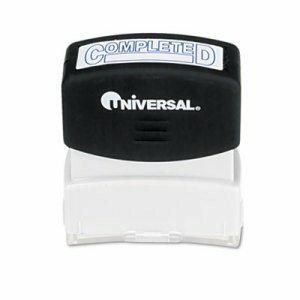 Ultimate Stamp Dispenser, One 100 Count Roll, Black, Plastic, 2" Dia. 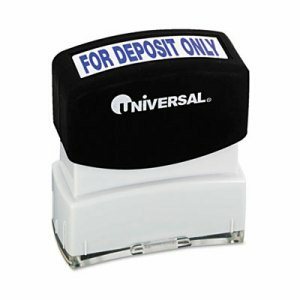 X 1 11/16" Ultimate Stamp Dispenser, One 100 Count Roll, Black, Plastic, 2" Dia. X 1 11/16"
Easily separate backing paper from self-adhesive stamp rolls. Patented dispenser is durable and reusable. Just drop roll in the dispenser, feed through the slot, feed backing under slots and pull backing to dispense. Use 50 or 100 count rolls or stamps, address labels, labels or stickers, up to 1" wide. 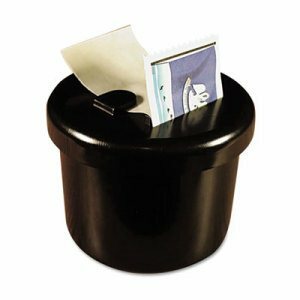 Capacity (text): One 100 Count Roll; Color(s): Black; Material(s): Plastic; Size: 2" dia. x 1 11/16" h.
Get ready for an ink pad that's bound to earn your enthusiastic stamp of approval. 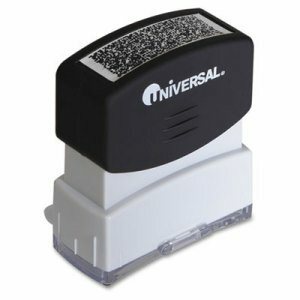 This Micropore� Stamp Pad delivers precise, vibrant, certified color with every stamp. 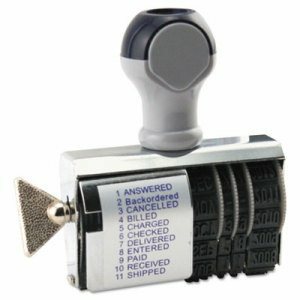 Micropore� technology never requires re-inking, for a stamp pad that's perfect for business use and other situations that require frequent stamping--leaving you satisfied throughout its extra-long life. 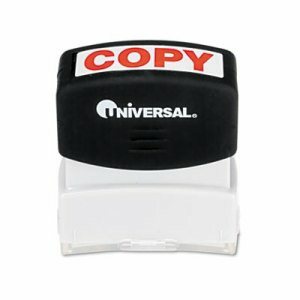 With this stamp pad, your reports, statements and other documents will sport crisp, bold, legible stamp impressions. Designed for fine reproduction of detail and is ideal for business applications. 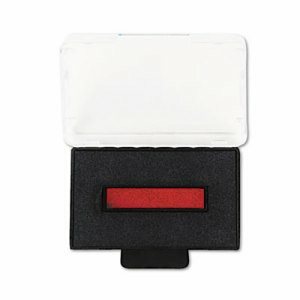 Stamp Pads Type: Inked Micropore�; Ink Pad Type: Conventional Pad; Ink Color(s): Black; Pad Size (Width): 4 1/4". 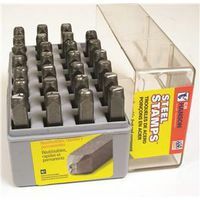 Specially formulated for optimum performance of Xstamper� Title Stamps, Jumbo Stamps, Specialty Stamps and VersaDaters. Prevents clogging of microscopic pores. 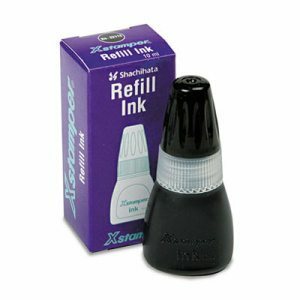 Cost-effective refill ink refills stamps with just a few drops. Provides 50,000 to 100,000 impressions. 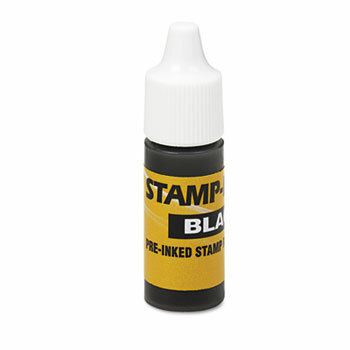 Ink Color(s): Black; Refill(s) For: Xstamper� Stamps; Capacity (Volume): 10 mL. Unique dust cover automatically opens and closes while stamping. Microban� antimicrobial protection works continuously to inhibit the growth of stain- and odor-causing bacteria. Ergonomic rubber grip. Up to 50,000 impressions. Stamp Type: Message; Message(s): SCANNED; Ink Types: Pre-Inked; Re-Inkable; Impression Width: 1 5/8". Just turn the dial for easy access to date and eleven common office phrases. Four bands produce 10 years of dates. Requires separate ink pad. 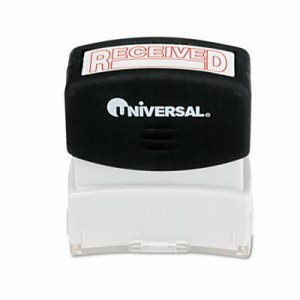 Stamp Type: Message Dater; Message(s): DATE plus 11 Common Business Phrases; Ink Types: Conventional; Impression Width: 2". The quick and easy way to stamp documents with the date. Self-inking dater delivers rapid, repeat impressions. 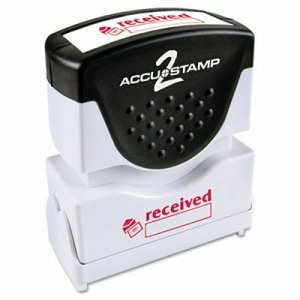 Replaceable stamp pad delivers up to 10,000 impressions. Four-band date: months, days and 10 years. Date band cover ensures fingers remain clean. 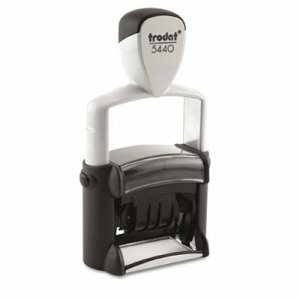 Stamp Type: Dater; Message(s): DATE; Ink Types: Self-Inking; Impression Width: 1 5/8". Get your message across with a crisp, clean impression. Microporous ink surface ensures clarity. Soft-touch grip provides effortless stamping. Flip-open lid prevents accidental messes. Lasts for thousands of impressions. Stamp Type: Message; Message(s): COPY; Ink Types: Pre-Inked; Re-Inkable; Impression Width: 1 11/16". Pre-inked Identity lock security stamp. Prevent identity theft by protecting your private information. Proprietary design blocks out your sensitive information. Soft-touch grip and flip-open lid. Lasts thousands of impressions. Stamp Type: Message; Message(s): Obscures Data; Ink Types: Pre-Inked; Number of Lines: 1. Keep stamp impressions looking brilliant with a fresh supply of ink. 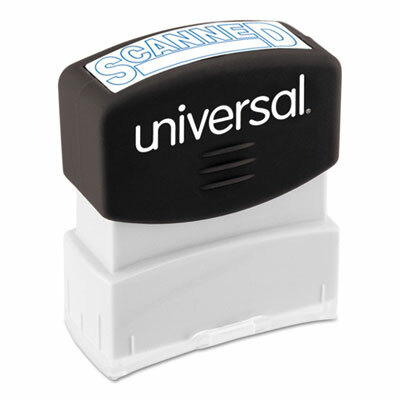 Refill ink compatible with Universal� stamps. Plastic bottle. Ink Color(s): Black; Refill(s) For: Clik!� Stamps; Universal� Stamps; Capacity (Volume): 7 mL. Stamp pad is built-in for years of use. Comes with water-based ink. Up to 5,000 impressions before re-inking. Stamp Type: Message; Message(s): POSTED; Ink Types: Pre-Inked; Re-Inkable; Impression Width: 1 1/2". Convenient blank postage rolls for use with DYMO Stamps� software. It's easy to print USPS postage from your computer. Print labels singly or by the dozen. 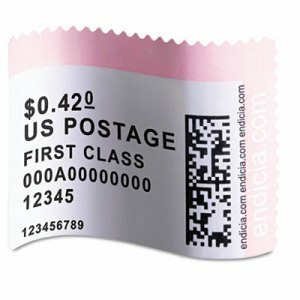 Label Size - text: 1 5/8 x 1 1/4; Label Color(s): White; Machine Compatibility: PC Label Printers; Catalog Description: Postage Stamps. 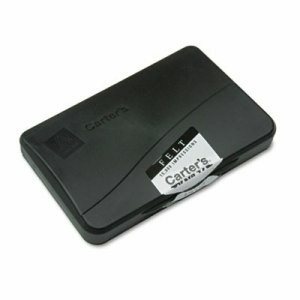 Give your Trodat� self-inking custom dater new life with a replacement ink pad. Delivers up to 10,000 impressions. Plastic case around pad. 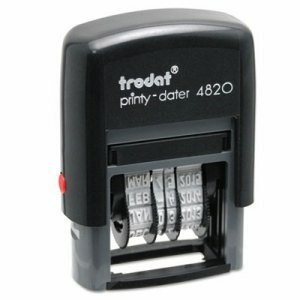 Stamp Pads Type: Inked Replacement; Ink Pad Type: Cartridge; Refill(s) For: Trodat� T5440, T5444; Ink Color(s): Blue/Red. Get your message across with a crisp, clean impression. Microporous ink surface ensures clarity. Soft-touch grip provides effortless stamping. Flip-open lid prevents accidental messes. Lasts for thousands of impressions. Stamp Type: Message; Message(s): FOR DEPOSIT ONLY; Ink Types: Pre-Inked; Re-Inkable; Impression Width: 1 11/16". 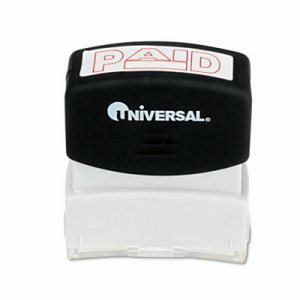 Replacement pad for trodat� self-inking dater delivers up to 10,000 impressions. Plastic case around pad. Stamp Pads Type: Inked Replacement; Ink Pad Type: Cartridge; Refill(s) For: Trodat� E4750, E4750N, E4752, E4754, E4752; Ink Color(s): Blue/Red. Get your message across with a crisp, clean impression. Microporous ink surface ensures clarity. Soft-touch grip provides effortless stamping. Flip-open lid prevents accidental messes. Lasts for thousands of impressions. Stamp Type: Message; Message(s): RECEIVED; Ink Types: Pre-Inked; Re-Inkable; Impression Width: 1 11/16". Get your message across with a crisp, clean impression. Microporous ink surface ensures clarity. Soft-touch grip provides effortless stamping. Flip-open lid prevents accidental messes. Lasts for thousands of impressions. Stamp Type: Message; Message(s): SCANNED; Ink Types: Pre-Inked; Impression Width: 1 11/16". Save space and money with this versatile dater that is actually five stamps in one! Use the date alone or add one of the four interchangeable phrases for emphasis. Steel frame construction for heavy-duty use. Four bands produce 10 years of dates for many years of service. Date band cover ensures your fingers remain clean. Delivers up to 10,000 impressions. 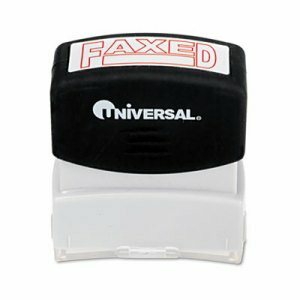 Stamp Type: Message Dater; Message(s): DATE; ENTERED; FAXED; PAID; RECEIVED; Ink Types: Self-Inking; Impression Width: 1". Get your message across with a crisp, clean impression. Microporous ink surface ensures clarity. Soft-touch grip provides effortless stamping. Flip-open lid prevents accidental messes. Lasts for thousands of impressions. Stamp Type: Message; Message(s): PAID; Ink Types: Pre-Inked; Re-Inkable; Impression Width: 1 11/16". Get your message across with a crisp, clean impression. Microporous ink surface ensures clarity. Soft-touch grip provides effortless stamping. Flip-open lid prevents accidental messes. Lasts for thousands of impressions. Stamp Type: Message; Message(s): COMPLETED; Ink Types: Pre-Inked; Re-Inkable; Impression Width: 1 11/16". Unique dust cover automatically opens and closes while stamping. Microban� antimicrobial protection works continuously to inhibit the growth of stain- and odor-causing bacteria. Ergonomic rubber grip. Up to 50,000 impressions. Stamp Type: Message; Message(s): RECEIVED; Ink Types: Pre-Inked; Re-Inkable; Impression Width: 1 5/8".